These Portuguese chicken wings are delicious and hot, you can also dip them in the sauce for extra flavor. In a container that has a lid, season the chicken wings with salt, the garlic powder, piri-piri sauce, cayenne pepper, black pepper, olive oil and 1/4 lemon juice. Put the lid on the container and shake well, so the seasoning is well spread. Let it marinate for 1 hour. Meanwhile to make the sauce, in a small pan, dissolve the cornstarch with the vinegar, add the ketchup, the piri-piri sauce, the honey and the butter. Place it on the heat and let the butter melt. When it turns into a homogeneous sauce, remove it from the heat. 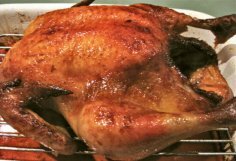 In a baking tray previously brushed with olive oil, place the chicken wings with the skin facing downwards, so that they don't stick together. Preheat the oven to 230C or 445F and bake for 10 minutes. After 10 minutes, remove the tray with the wings and brush them with the sauce. Turn them skin up and brush them again. Return them to the oven for another 10 minutes. 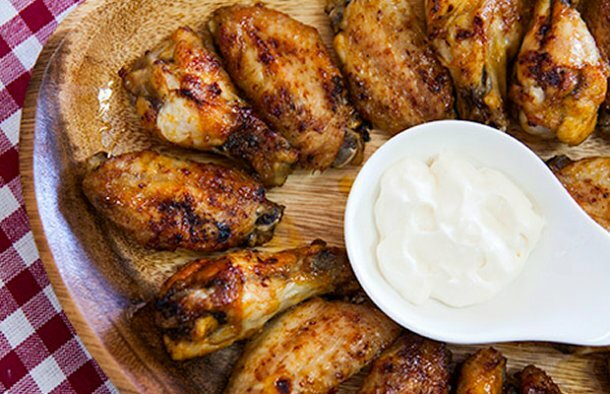 When the chicken wings are golden brown and caramelized, remove them from the oven. If you want the chicken wings to have the most intense flavor, brush them again with the sauce or serve the sauce seperately. You can also serve with another sauce of your choice. A moist and flavorful Portuguese chicken dish that is so easy to make. This Portuguese style chicken basque recipe with chouriço, red peppers and paprika makes a delicious meal. 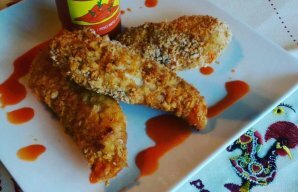 This Portuguese hot piri piri chicken fingers recipe is full of flavor, but if you can't handle the heat, just leave out the hot sauce.